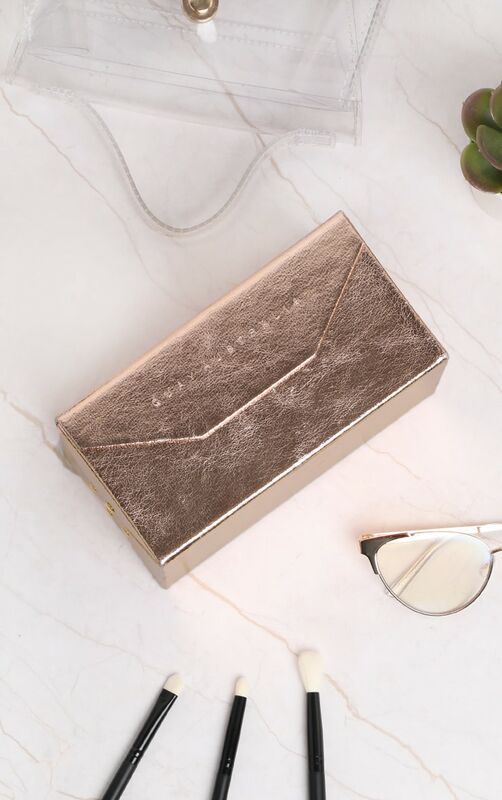 Need a safe place to keep your favourite sunnies? QUAY AUSTRALIA have got the perfect place for you. 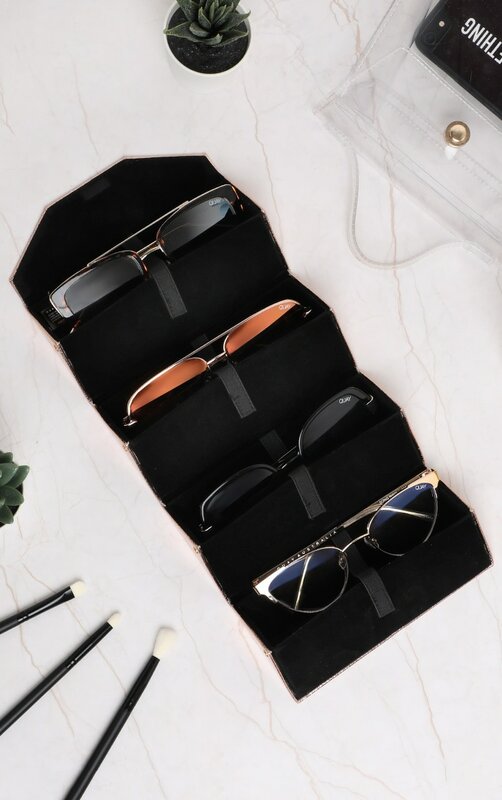 This rectangular hard case folds up to carry four pairs of sunnies safely and in style with a glam exterior in a variety of colors and a luxe velvet lining. Each sunnies pocket features an elastic Velcro strap to hold your sunnies in place.